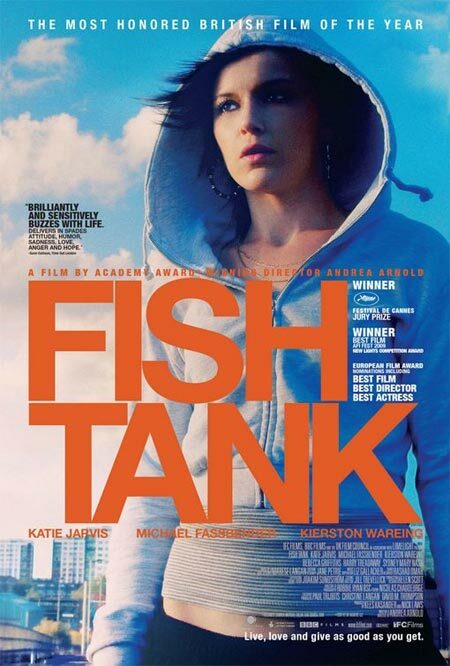 A few days ago, we posted the new U.S. trailer for Andrea Arnold’s “Fish Tank,” which opens in New York next week before rolling out later. I didn’t mind it as much as some, though it didn’t capture the film’s unusual rhythmic and sensual qualities. But I do like prefer this simple, declarative poster that was released at the same time. Michael Fassbender is slowly but surely reaching “will watch in anything” status for me. I have no idea what “Jonah Hex” is about, but I’ll probably be there, Megan Fox be damned. Guy in your best of 2009 you put down White Material as #1 but it’s not in your best of decade list? I explain that in the intro to my Top 10 of decade list. Oh ok didn’t see that before. I saw Fish Tank this week at the IFC and enjoyed it but not to the extent of best of the decade material. I’m not even sure if it’s better than An Education. They are both about equally as good to me. Fassbender is becoming a big time actor. I didn’t recognize him from one movie to the next (Hunger, Inglorious Basterds, Fish Tank). This has happened before with me in regards to Phil Hoffman and Mark Ruffalo so it looks like we have another great character actor on the verge. He said he was going to be working soon with both Soderbergh and Cronenberg. Liz, if you aren’t aware of my Michael blog, please click on my name for the link. Guy, I can’t wait for your interview next week with him. Fassbender is going to be in : A Single Shot, Jane Eyre, Knockout, The Talking Cure, and Jonah Hex this year… so far. I’m so excited for him! I repeat: I LOVE THIS MOVIE! Wow, photoshopped into oblivion. I like the film a lot, but I’m very disappointed by the direction IFC has taken with the marketing. First that godawful trailer, then they make a rather attractive young girl into a grainy, pointy mess of a face. You think they could sell the film on its own merit.